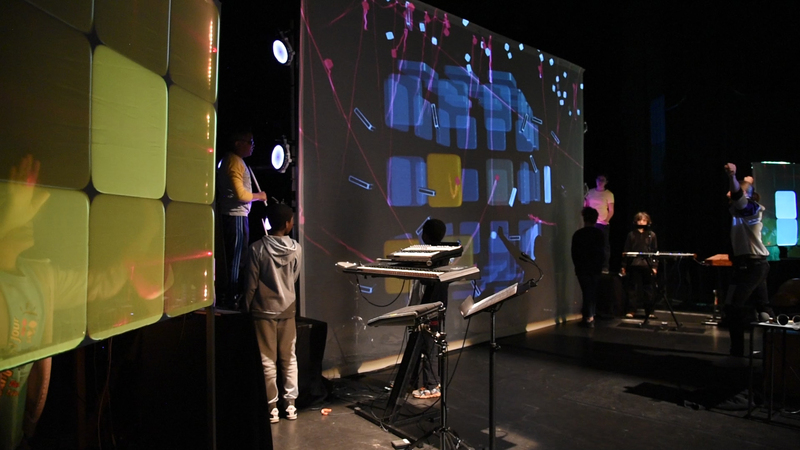 Lumens game (L'expérience Lumens in french), the second original creation of the group, explores the link between virtual and reality by creating a 3D multi-screen environment projected in front of and around the audience. 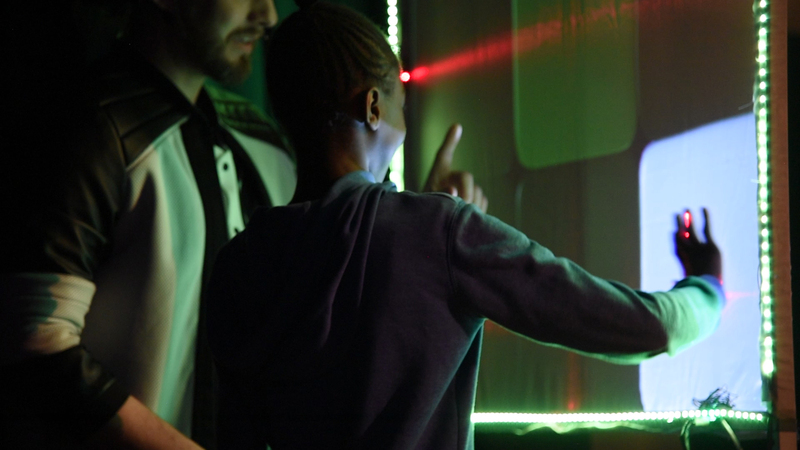 The two creators give life to music and image in real time, like an interactive musical videogame. 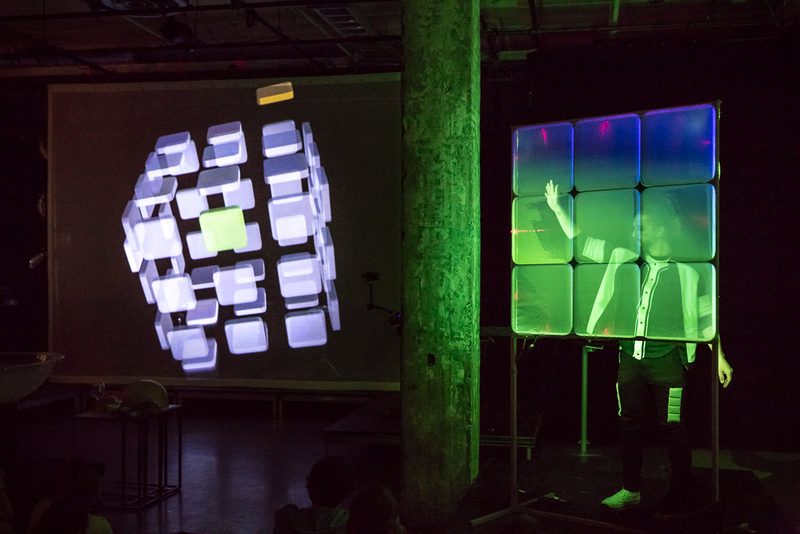 An immersive multimedia performance with musical instruments like drumpads, electronic instruments, laser frames, motion capture by Kinect, and even… water! A show you need to hear with your own eyes. After the 45 minutes performance, we take the children behind the scene and we welcome them on stage to try and play with our invented instruments so they can play their own collective song!